Ships tomorrow if you order in the next 22 hours 51 minutes. Maintain Optimal Bone Health & Cardiovascular Function with A.D.K. Bone strength and health is an important part of overall health at every age, but as you get older, your bones may begin to weaken. If you've been searching for a way to help support and maintain bone structure and integrity, DaVinci Laboratories offers a great product option. A.D.K. 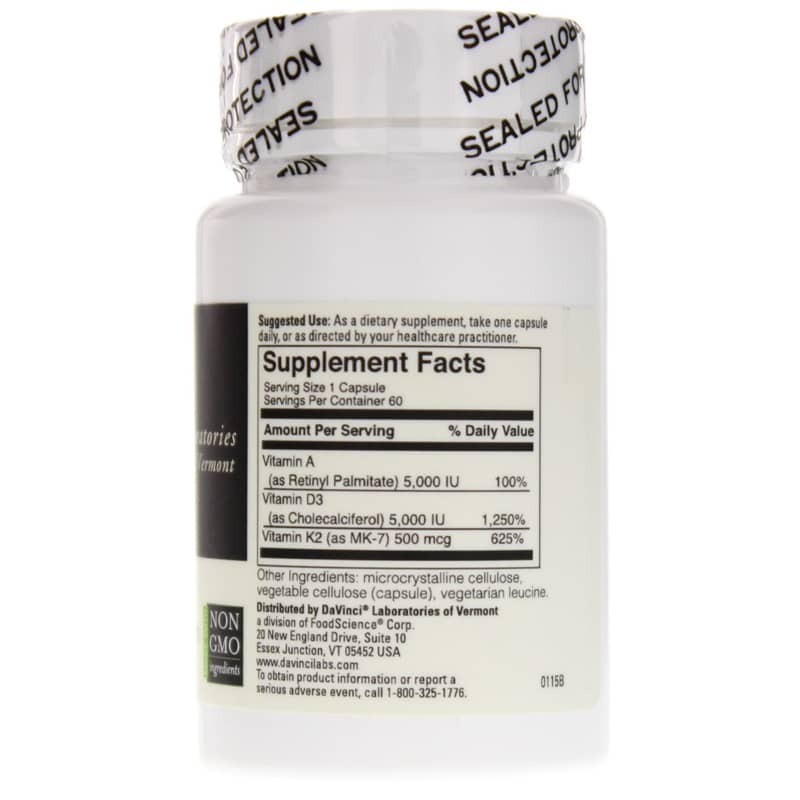 is a dietary supplement that contains a blend of important vitamins that not only help maintain bone integrity, but support cardiovascular function and more. 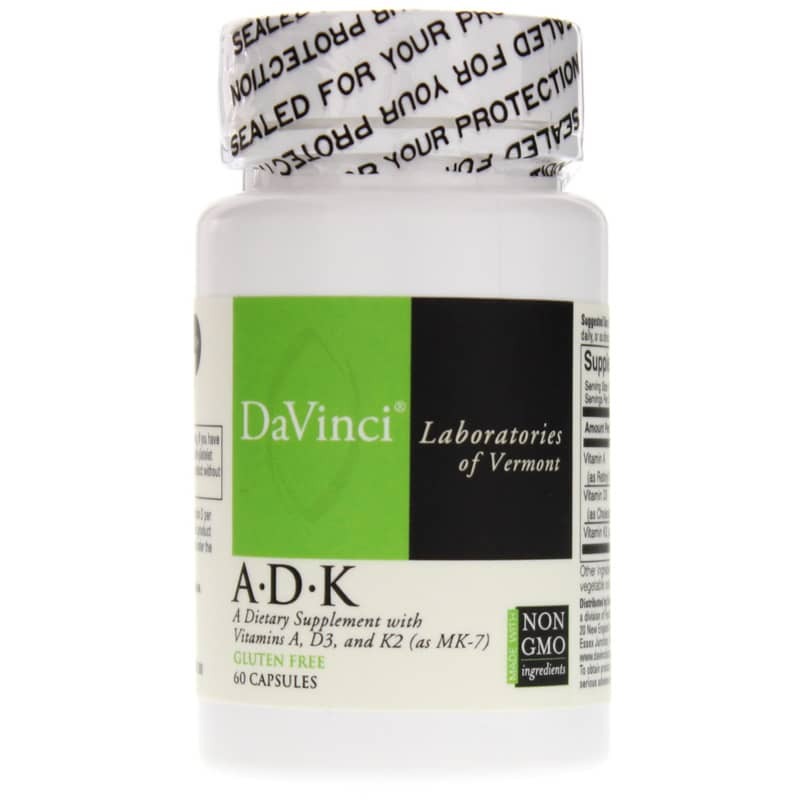 Every batch of DaVinci Laboratories' A.D.K. is made without the use of gluten, and is always GMO-free. 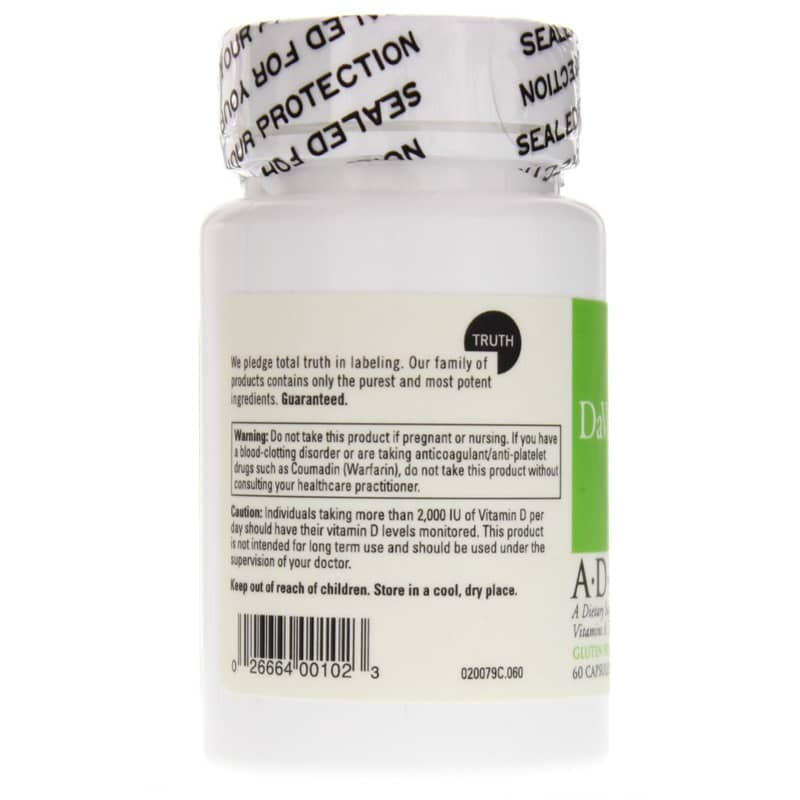 It comes in a capsule form that is easy for adults of all ages to swallow, and only needs to be taken once every day in support of optimal bone health and strength. Adults: As a dietary supplement, take 1 capsule daily or as recommended by a healthcare professional. Do NOT use if you are pregnant or nursing. Keep out of the reach of children. If you have a blood-clotting disorder or are taking anticoagulant/anti-platelet drugs such as Coumadin (Warfarin), do not take this product without consulting your healthcare practitioner. Individuals taking more than 2,000 IU of Vitamin D per day should have their vitamin D levels monitored. This product is not intended for long term use and should be used under the supervision of your doctor.